Ethical shopping is a topic that my husband and I have been talking about for about a year when it comes to minimizing our belongings, trying to purchase local organic produce when buying food, and support clothing companies with sustainable business and environmental models. We love the topic, and though it’s hard not to let it paralyze you when you walk into a store to run errands, I have found some fun apps and tricks to make the shopping experience a little more bearable. Thank you, Victoria! These are amazing resources, we’re thankful that you shared them with us. Coming up next in the series are some more tips on better buying when it comes to clothing, so keep your eyes peeled. In the meantime, use those apps for your Thanksgiving shopping this week! **Have some ideas to share with us like Victoria did? 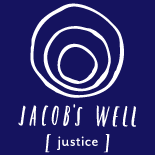 Please send them to justice@jacobswellchurch.org—we’re always looking for fresh content for the blog and would love your help. This entry was posted on November 21, 2015 by jwjustice in Agriculture, Climate Change, Ethical Shopping, News and tagged apps, ethical shopping, farm to table, farmstar living, good guide app, groceries, local, organic, Victoria Marcklinger.